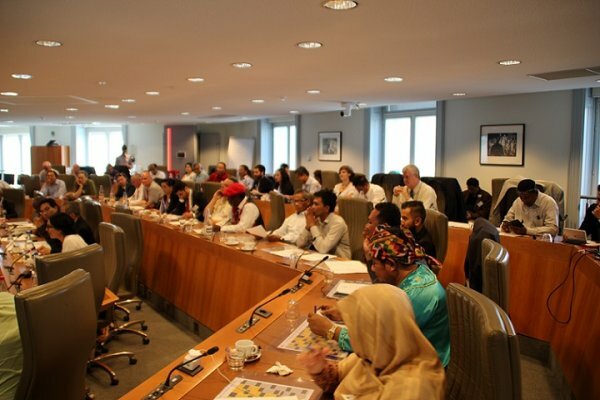 On 4 July 2015, UNPO Members gathered at the Flemish Parliament in Brussels for the final day of the Organization’s XII General Assembly. The agenda consisted of a debate and adoption of a General Resolution aimed at guiding the work of UNPO until the next General Assembly, as well as of the election of a new President, Vice-President and 9 Presidency Members. The final session, chaired by newly elected UNPO President Mr Nasser Boladai of West Balochistan, ended with an interactive debate between UNPO Members and the Secretariat on the challenges and opportunities facing the day-to-day work of the Organization. After having declared the final day of UNPO’s XII General Assembly open, UNPO President Mr Ngawang Choephel gave the floor to Mr Enghebatu Togochog, the Head of Delegation of Southern Mongolia, to present the General Resolution draft as prepared by the Drafting Committee. Subsequently, through the mediation of the President, Members had the opportunity to provide input and suggestions for amendments to specific articles of the Resolution. An additional article was added to the draft, addressing regional organizations and their need to protect and promote human rights. Following the amendments and adoption of the final version of the General Resolution, the Head of Delegation of the Afrikaners, Dr Pieter Groenewald, presented the nominations for the new Presidency: Tibet, Taiwan, East Turkestan, Crimean Tatars, Iranian Kurdistan, Afrikaners, Khmer Krom, Oromo and West Papua. As no alternative list had been put forth, and the aforementioned list had received the required majority of support, the composition of the new Presidency was declared as such. 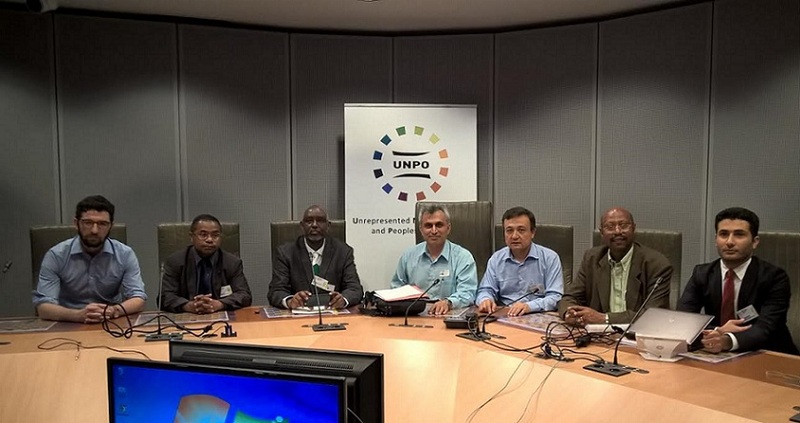 Mr Nasser Boladai from West Balochistan was then elected the new President of UNPO and Mr Abdirahman Mahdi from Ogaden the new Vice-President, with 2/3 of the voting-eligible Members supporting their nomination. Mr Boladai, who following his election was tasked to take on the role of chairing the meeting, first of all expressed his gratefulness for being entrusted with the presidential mandate. He opened his speech by stressing his desire to set a new agenda for UNPO, and his commitment to create and achieve more for the organization. He underlined the fact that all UNPO Members, despite facing very different environments and situations, aim for the same goal - dignity. Finally, Mr Boladai thanked General Secretary Mr Marino Busdachin and the UNPO Secretariat, and congratulated the new Vice-President, Mr Mahdi on his election. 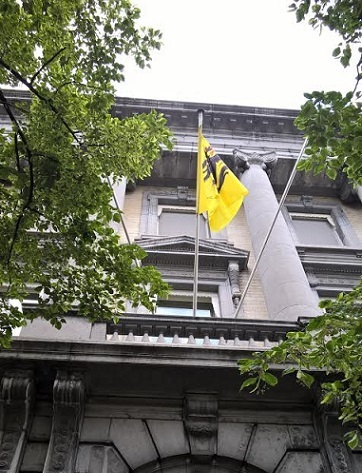 In accord with the UNPO Covenant, the XII Session of the General Assembly extended the mandates of the Organization’s General Secretary and the Treasurer, without an election. The next election for these key positions will take place during the XIII Session. In the afternoon session of the Assembly, Dr Fiona McConnell from Oxford University provided the GA participants with a presentation of the renowned university’s new partnership with UNPO – a training program entitled “Training diplomats from Unrepresented Nations: capacity building for effective UN lobbying”, which will be available for UNPO Members throughout 2015 and 2016. Following the presentation of Dr McConnell, UNPO Program Manager Ms Johanna Green and Program Coordinator Ms Iva Petkovic spoke about the activities of the Secretariat, current UNPO programs and projects in Brussels and beyond, and addressed a round of statements, questions and comments raised by the Members. Affirming the importance of working to give all nations and ethnic communities the opportunity to have a say in the decisions that concern their territory, culture, language, heritage, environment and people. 12. Calls upon states to demilitarize territories of indigenous nations, end population transfers, implement the relocation of outside settlers, cease all exploitation of their lands without prior and informed consent, and continue with the effective implementation of agreements signed by indigenous peoples’ and states’ representatives. See also article on the Opening Conference of the XII General Assembly, 2 July 2015, European Parliament. See also article on the 2nd Day of the XII General Assembly, 3 July 2015, De Markten.